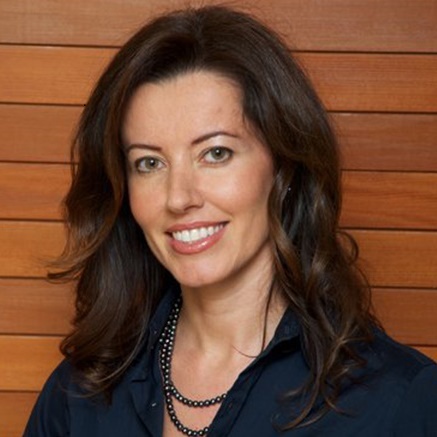 Dr. Sanda Moldovan is a periodontist and nutritionist who practices in Tribeca, New York and Los Angeles. After graduating from Ohio State University School of Dentistry, Dr. Moldovan continued her studies at UCLA’s post-graduate periodontics department where she went on to receive her masters of science in oral biology. She is a proud Diplomate of the American Academy of Periodontology and a member of Laser Dentistry and the American College of Nutrition. Although Dr. Sanda has only worked with Tribeca Advanced Dentistry for two years by practicing in both our Los Angeles and downtown New York locations, she has worked closely with Dr. Olga Malkin for over six years on major aesthetic dental procedures such as All-on-4 implants and Teeth-in-a-Day procedures. Both Dr. Moldovan and Dr. Malkin appeared on the Doctors show performing a smile makeover on a 21-year-old patient and on NBC news special performing an all-on-4 procedure. Often featured on CBS’ renowned TV show “The Doctors” and harboring a firm belief that health comes from the inside out, Dr. Sanda understands that the mouth holds many key indicators of one’s overall health. Dr. Moldovan frequently travels and gives lectures on dental implants at the UCLA School of Dentistry and ensures that she is always on top of the newest practices and technology in her industry – particularly in regard to laser techniques, bone regeneration, and nutritional support. Smile to a healthy future and stay connected with Dr. Moldovan on her Web site, Twitter, and Facebook.